“AAPI (American Association of Physicians of Indian Origin) supports a healthy doctor-patient environment by curbing aggressive litigation targeting physicians,” AAPI president Ajay Lodha said in a statement in which he congratulated Trump on his victory in the presidential election. It established a statute of limitations and limited noneconomic damages to $250,000, he rued. AAPI wants modification of the Affordable Care Act, he said. Under the ACA, hospitals and primary physicians would transform their practices financially, technologically, and clinically to drive better health outcomes, lower costs, and improve their methods of distribution and accessibility. “We believe that the current ACA could be improved upon greatly. To merely repeal the ACA would result in 20 million losing their health insurance coverage and that would be problematic to say the least,” he said. “A more reformed system with emphasis on free-market while retaining the provisions protecting consumers with pre-existing conditions would be ideal,” he said. 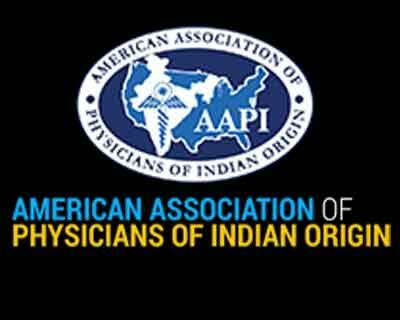 AAPI represents the interests of over 60,000 physicians and 25,000 medical students and residents of Indian heritage in the U.S. In the statement, Lodha also invited Trump to address the delegates at the next AAPI Convention in Atlantic City, New Jersey, next year. India-West Staff Reporter adds: According to the statement from Lodha, the convention will be held from June 21-25, 2017, and will provide “a venue for medical education programs and symposia with world renowned physicians on the cutting edge of medicine.” It will be held at the Harrah’s Resort in Atlantic City. Among AAPI’s legislative initiatives for 2015-17 are addressing physician shortage, for which Lodha urged the president-elect to increase residency positions across the U.S. The organization also appealed to Congress to increase the size of entering medical school classes, predicting that America will need 90,000 physicians by 2020.